On a bright Saturday morning in Westbury, an excitable group of children gather around the community centre where Steven Pienaar is conducting a flurry of media interviews. 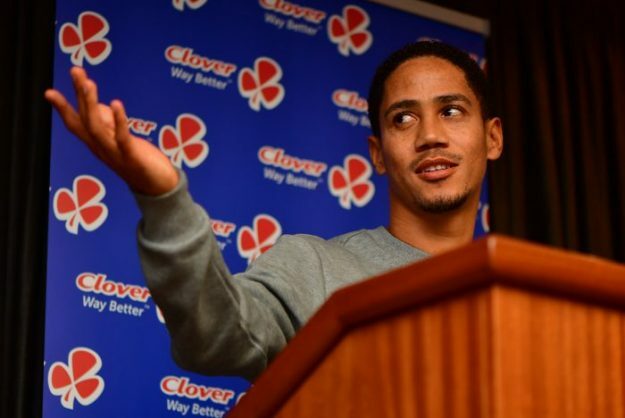 Pienaar is as popular as ever in the suburb in which he was born and raised, and continues to give back to in the form of his thriving annual football tournament. The 35 year-old is particularly excited this year, as this is the first time that his tournament, in over a decade of existence, has made space for ladies teams. There was also a first prize of R100 000 for the winner’s of the senior competition at the Westbury Oval. “It shows we are moving in the right direction and we want to get everyone involved,” says Pienaar. Pienaar has previously always had to jet back to Europe after spending time with his family, in a club career that has seen him play for Ajax Amsterdam, Borussia Dortmund, Everton, Tottenham Hotspur and lately Sunderland, with whom he was relegated to the English Championship in the 2016/17 season. This time, however, it is likely that Pienaar will be around for far longer. That experience at Sunderland appears to have resolved his mind more than ever that it is time for him to move back home, and play in the Absa Premiership. “It is definitely time to come home. I can’t play at that (English Premier League) level again. I told myself that and I sat with my family and agent and I have said I don’t think I can do another year in the Premier League, the pace there is unbelievable,” he says, describing his stay at Sunderland as “a great lesson in life. David Moyes, who was also Pienaar’s coach in a far more successful time at Everton, resigned as a result of Sunderland’s descent. Pienaar did have his injury problems at Sunderland, but says he is only a week away now from full fitness after an ankle injury that ruled him out from the last few weeks of the Premier League season. That would leave him plenty of time to prepare with a new PSL team for the start of the Premiership campaign, but which will it be? Pienaar has been linked with Orlando Pirates, Kaizer Chiefs, Mamelodi Sundowns and Cape Town City. With regards to City, however, he has indicated a preference to be closer to his family in Gauteng. “My mum is in Joburg, I just moved back. Being away so long, if I move to another city, she might kill me!” says Pienaar, with a broad grin on his face. He is a life-long Pirates fan, meanwhile, and admits to talking to Buccaneers chairman Irvin Khoza before his move to Sunderland. “Everyone knows that (I am a Pirates fan), I am not going to hide it, it is the team I support but it is just that. “I did sit down and speak to the chairman, we had a nice conversation, he gave me advice about life, he is a respectable man and you take the advice he gives you. – He played as youngster for a club in his home suburb of Johannesburg called Westbury Arsenal, as did current Bafana midfielder Keagan Dolly. – He says he does not know yet when he will hang up his boots, adding that he wouldn’t mind emulating Siyabonga Nomvethe, who is still playing at 39. “I will just have to see how I look after my body, and take it from there,” he says.